Mount Pleasant, SC real estate even through the real estate bust of the last few years have retained their value probably better than most property in the US. 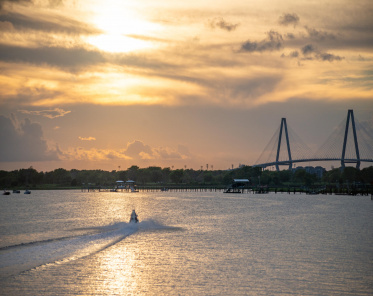 Charleston, SC brings many people who desire to live our great lifestyle and Mt Pleasant is by most standards considered by many to be “the nice” traditional suburban community of the Low-country. The real estate in Mount Pleasant (zip codes 29464 & 29466) is varied and vast, with Mt Pleasant condos starting around $100,000, Mt Pleasant townhomes, Golf properties, one story homes, condominiums, to homes well over $5 million for waterfront in Mt Pleasant, riverfront, and oceanfront real estate. Located between Awendaw SC, home to Bulls Bay gated community, and downtown Mt Pleasant’s proximity to the beaches of Isle of Palms, and Sullivan’s Island make it a favorite for many. Property here is about 10% higher in price than the other two popular communities of Charleston (James Island & West Ashley). Near Mount Pleasant is Daniel Island, a smaller more quaint community with only a couple schools, private schools, and few restaurants, but two great golf courses. 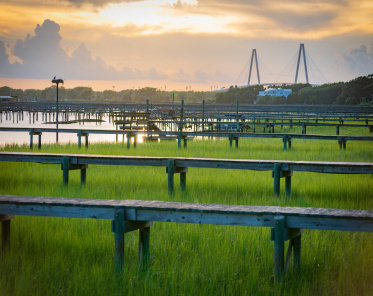 With popular hot spots to hang out like Shem Creek, and great dining it’s not hard to see why Mount Pleasant is one of the most popular areas of the Low-country. There is one high-school in Mt Pleasant; Wando and another beginning construction to be completed by 2018, with a few very nice communities centrally located within a few minutes. Welcome Home to this meticulously kept luxurious waterfront estate, complete with private dock on deep water. Dock has floating dock, new 30,000lb boat lift and pierhead, fresh water and electricity. Look for it featured on NBC Open House in Charleston! Resort style living with true deep water on the Wando River. Relax with Charleston's incredible sunsets over the water from nearly every room. This amazing property is a waterfront home in a private gated community of Dunes West. 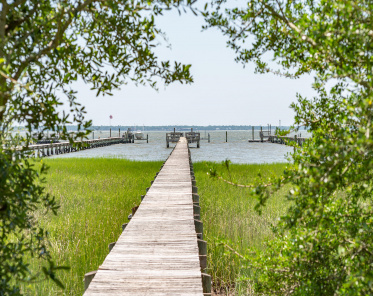 Stunning views of Wagner creek from nearly every room and easy access to the Wando River and Charleston Harbor. Lowcountry lifestyle: Swinging on the front porch sipping iced tea and catching up with neighbors passing by on the tree-lined sidewalk. Lunch on the screened back porch after a cool dip in the pool. The most affluent of what people would call American suburbia Mt Pleasant offers convenience coupled with eloquence. It’s the most expensive town to live in per capita income in the state of S.C. and a standard “nice” home starts about $350,000. The average temperature is 80 degrees with the hottest months being June – Sept as you can probably guess. Rarely does it get below 30 degrees and we even have days in the 70s during Jan and Feb. There are more golf courses in Mt Pleasant than anywhere in the Charleston area with 5 total: 4 being country club communities.